Still based in Highgate, and currently putting on four productions each year, Theatre in the Square was formed 50 years ago when we used the name The Gatehouse Theatre Club. 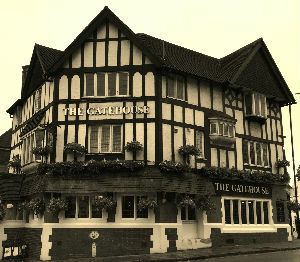 This was because in 1967 our first production was at Ye Olde Gatehouse pub in Highgate Village. Since then we have presented over 200 productions including new plays, original revues, and Music Halls. After leaving the Gatehouse Pub, our original home, we have performed at several venues including the Hampstead Theatre, Mermaid Theatre, The Three Horseshoes, Great Northern Theatre, Springfield Theatre, Highgate Literary & Scientific Institute, Dyne House (Highgate School Theatre), Kenwood House, Burgh House in Hampstead, the Bridewell Theatre, the RSC Main Stage Stratford, Theatro Technis, the Rosemary Branch Theatre and the Lion & Unicorn, Kentish Town..
We are fortunate to be able to use the United Reformed Church in Highgate but to avoid confusion with the ‘Upstairs at the Gatehouse’ theatre we changed our name in 2007. We are still a registered charity called the Gatehouse Theatre Club, operating as Theatre in the Square. 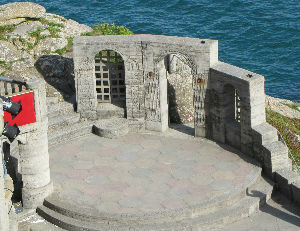 Since 1968 we have been regularly invited to perform at the Minack Open Air Theatre, Porthcurno, in Cornwall. This provides an opportunity for a week’s performance in an unusual setting with the sea as a backdrop. From 1968 onwards we have taken very varied plays to Minack and played in front of over 68,000 people during this period. We were proud to have been asked to return in September 2017 with our production of Cyrano de Bergerac by Edmond Rostand adapted by Glyn Maxwell. If you would like us to let you know about our performances, you can add your email address to our mailing list.